Leading female scientists will be awarded scientific heirlooms by their peers at the fifth Suffrage Science awards for Life Sciences on 6th June 2018. The Suffrage Science scheme was initiated by Professor Dame Amanda Fisher, Director of the MRC London Institute of Medical Sciences (MRC LMS) in 2011 to celebrate and inspire women in science. 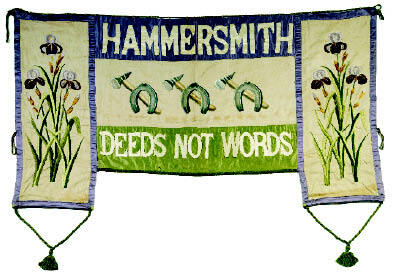 Suffragette banner of the Hammersmith branch of the militant Women’s Social and Political Union (WSPU). It bears the union slogan ‘Deeds Not Words’. The painted hammer and horseshoe symbolise the branch’s locality: Hammer-Smith. The branch was founded in February 1907 by Frances Rowe and other former members of the Hammersmith branch of the non-militant National Union of Women’s Suffrage Societies. The 11 awardees are chosen by the previous award holders for their scientific achievements and ability to inspire others. The awards themselves are items of jewellery, inspired by the Suffrage movement, and are passed on as heirlooms from one female scientist to the next. 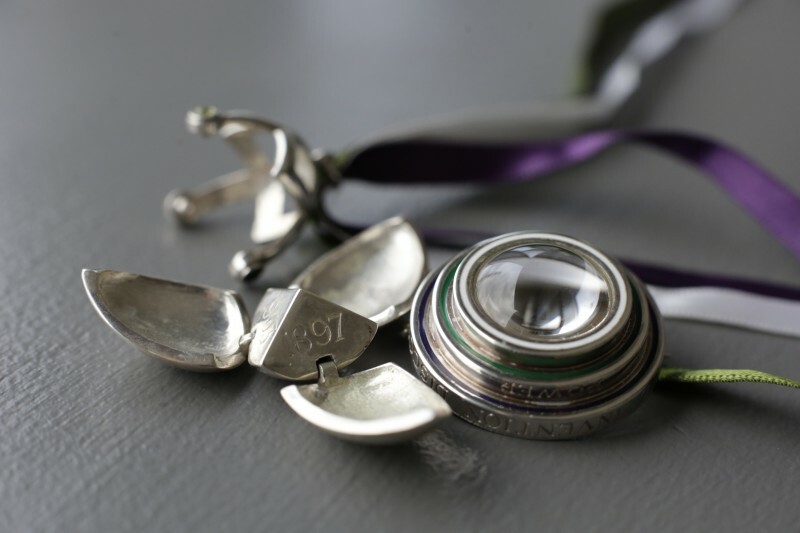 The heirloom items of jewellery were created by art students from Central St Martins-UAL, who worked with scientists to design pieces inspired by research and the Suffragette movement, from which the award scheme takes its name. Alongside the awards, science writer and broadcaster Vivienne Parry will lead a discussion on Women in Science- Then and Now. Helen Pankhurst, great-granddaughter of Suffragette Emeline Pankhurst, will discuss her new book Deeds Not Words: The Story of Women’s Rights – Then and Now, while Chief Medical Officer Professor Dame Sally Davies and ScienceGrrl Director Dr Anna Zecharia, will share their insights on the current landscape for women in science, explore why change is taking so long and discuss how to make a difference for women in the future. This year one of the awards will be awarded to Professor Irene Miguel-Aliaga, MRC London Institute of Medical Sciences.